Need Locks Changed? Locked Yourself Out? Lost Your Keys? Our professional 24 hour Manchester Locksmiths can get to you within the hour and unlock your door! Whether you're a home owner or you own business premises in Manchester, we can help. We can gain entry to your property without causing any avoidable damage. All our work is guaranteed for 90 days and the parts we use have a 12 months guarantee. All of our Manchester Locksmiths live and work locally or they live close enough for a short commute to you, which means they can get to you fast. Our uniformed and DBS checked Manchester Locksmiths are on call 24 hours a day throughout Central and Greater Manchester to help with all general locksmith work, from gaining emergency entry to your doors if you're locked out or you've lost your keys, to fixing or replacing your old, broken or failing locks. Our experienced locksmiths fit and a repair a wide variety of locks every day to the doors of homes and businesses throughout Manchester. "Great service, very professional, kept me informed of due arrival time and fixed the lock quickly. Price as advised when I first telephoned. Won't hesitate to use again if needed. Thanks!" Our locksmiths are on call 24 hours a day throughout Manchester for your locksmith requirements. If you accidentally lock yourself out or lose your house keys and find yourself in an emergency, we can unlock your door. If you're finding it difficult to turn your keys or you can't lock your door, our experienced, uniformed locksmiths can help. There's no call out fee to pay and we could be with you within an hour. 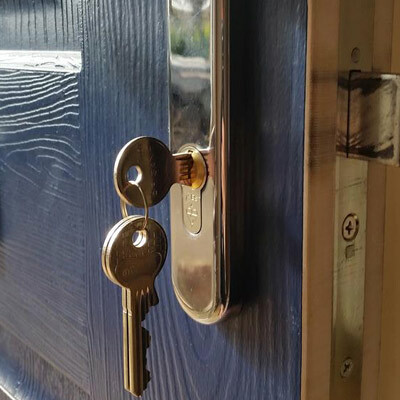 We can replace your locks so that they meet British Standard to comply with insurance requirements and we can install anti-snap locks to your doors to help protect against lock snapping. We can also upgrade your locks if they have become less secure with age or have started to fail. Recent research shows that in 72% of burglaries the thief will enter through a door. In 27% of those cases, the locks will be forced open. Upgrading your locks can help to improve your home security and will make it harder for a burglar to gain access to your property. Our Manchester Locksmiths live and work in the locality they serve or they live close enough for a short commute to you. This means our locksmiths can be with you quickly and it also means that you are using and supporting a local locksmith while having the reassurance of using a nationwide company. 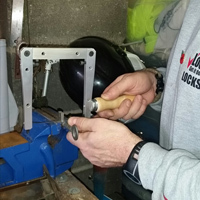 LockRite can provide peace of mind throughout the whole process of using our services. Our locksmiths are DBS checked, and their work guaranteed. We provide a 90 day guarantee on workmanship aswell as a 12 months manufacturers guarantee. If you have any queries during any part of the process, our help desk team is able to take your calls on 0800 0612 677. It's important to keep your property secure, so if you have a lock that is damaged or faulty, it's imperative that you get it repaired as soon as possible. If a lock has extensive damage, a replacement may be un avoidable. 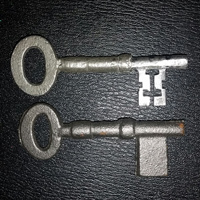 If your key has snapped off inside the lock we can extract it and cut you a new set of keys. Have you been burgled? Is there damage to your locks? If so, you need to make sure that your home is secure. Whilst damage can normally be repaired, if the burglar has taken your keys, broken the door handle or snapped the lock cylinder, the parts will need to be replaced. We can also offer advice and possible lock upgrades to protect yourself against a future burglary. Bought a new home or property in the Manchester area? Have you changed your locks? When moving into somewhere new, it's easy to overlook the fact that there may be several people with the keys to your home. Homeowners may accidentally take keys with them when they move out and they may have given spares to family and friends. Although unlikely, it's possible that they could let themsleves back in whenever they like. We can change your locks if you've moved into a new home. 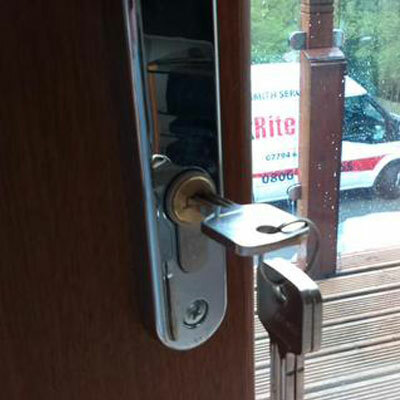 Our Manchester Locksmiths are able to provide home security surveys to Manchester residents. We can also offer advice on how to improve the security of your property to protect against burglaries and to meet Insurance Standards. Installing door bolts and bars, as well as adding British Standard anti-snap locks, can help deter a burglar and improve your security. Occasionally people will want to keep old locks and keys. Why do people want to keep old locks? Sometimes it's in order to maintain the character of the building, and sometimes these locks can't be removed because a building is listed. 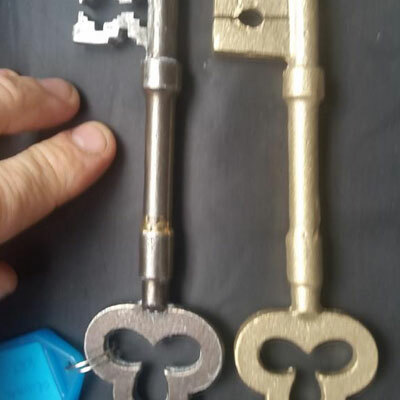 The pictures on the right show one of our locksmiths cutting keys for an antique lock. It's a different task than cutting contemporary keys, as it has to be done by hand rather than by machine. We recently published an infographic showing UK burglary statistics, and perhaps one of the most shocking statistics is that 59% of burglaries occured when the victim was still in their property. It's possible that a burglar will use several different techniques to gain access to a home when someone is in but one of the most common is by means of distraction. 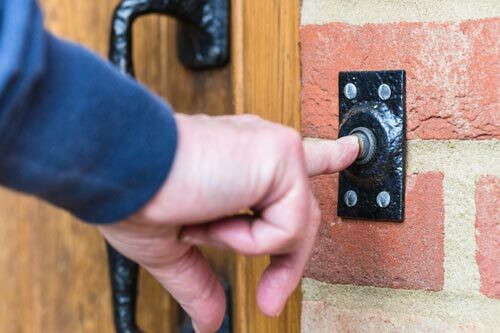 Burglars have been known to pose as fake doorstep callers or collectors in Manchester such as Gas meter readers or someone offering some kind of service to the home owner. They have been known to either confuse the victim into paying them cash or using an accomplice to enter the property from another door while the victim is being distracted. Door Signs / Stickers : Add a sign or sticker to your door which reads something along the lines of "NO door to door sales or canvassers". If someone continues to knock and you're not expecting them, you can choose not to answer the door. Install a Peep Hole : Installing a peep hole in your door will allow you to identify who is at your door before you open it. Keep Your Doors Locked : Ensuring your doors and windows are locked will prevent someone else from entering your property while you're being distracted by someone at the door. Ask For Identification : As of laws passed in 2002, all cold callers are required to provide identification, and to explain the purpose of their visit upfront. Don't Make Any Payments or Book Work : If you're sure the person you're talking to is an honest employee, book a second visit rather than booking or paying for work there and then. 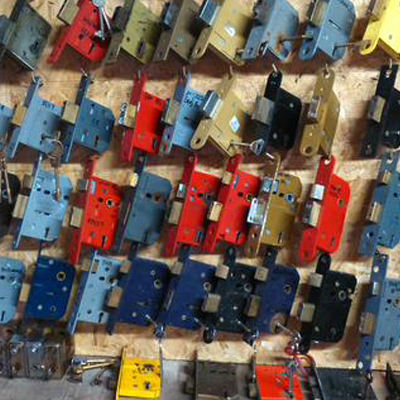 If you'd like to have door chains fitted to your doors for better security, we can help. Lock: Ensure that you keep your front and back doors locked at all times, even when you're at home. Stop: Before answering the door, stop and think if you were expecting anyone. Ensure that you've locked any back doors and that you've taken the key out. Look through the spyhole or the window to see who it is. Chain: If you do decide to open the door, put the door chain or bar on first. Keep the bar or chain on while you are talking to the person on the doorstep. Check: Ask for and carefully check their identity card, even if they have a prearranged appointment (all genuine callers will carry one). Do they look like the person on the card? Is the name the same one as that on your letter? Close the door while you do this. If you are not expecting them and they have not shown you an identity card, don't let them in. This video by Greater Manchester Police shows how a distraction burglary could take place. They recommend purchasing a peep hole and / or door chain to improve the security of homeowners when they're approached by unexpected callers. 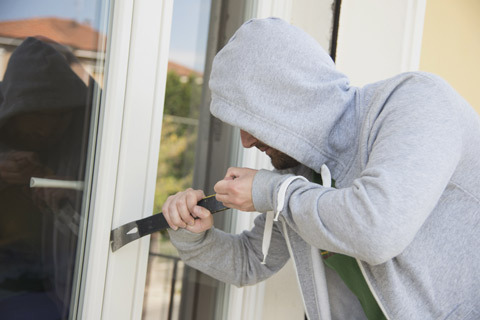 It's important to mention that an accomplice could enter the property from the rear of the building through a door or an open window if they have been left open or unlocked, therefore, it's important to ensure that your doors and windows are locked when you can't see them, even if you are in the property. One in 10 Manchester students are said to become victims of crime, according to Manchester City Council . What that means is that, out of its student population of 70,000, the amount of them that will be victimised is around 7,000. Greater Manchester Police is keenly aware of the risk to students, which arises partly due to their often-expensive possessions: according to Chief Inspector Arif Nawaz in an article for Endsleigh , they “bring with them between £5,000 and £10,000 of high-tech gadgets”. A series of videos have been produced by the Greater Manchester Police to alert students to some of the dangers that they could face from criminals. One of them is a burglary video, which shows an individual (in an artificial situation) easily entering a property through an unlocked window, and proceeding to ‘steal’ a laptop and tablet. Read our blog post on student home security advice. The Greater Manchester area has one of the highest crime rates in the entire country, with more crimes committed in the area than similar cities. To put things in perspective, Manchester had a crime rate of 109.39 per 1000 population in the year ending June 2015, while Nottingham had a crime rate of 101.2, Liverpool’s crime rate was 90.86 and Birmingham’s 68.35 (source: https://www.police.uk/greater-manchester/A1/performance/compare-your-area/). This makes Manchester and its surrounding areas one of the most crime-ridden cities in the country, despite the fact that very few of us actually see any crimes being committed. That, however, doesn’t mean that they aren’t committed on a regular basis, and one of the most common crimes committed in the Greater Manchester area are burglaries. Like many common crimes in Manchester, as well as other cities and towns across the UK, burglaries rates are on the rise. From November 2014 to October 2015, there were 25,359 burglaries reported in the Greater Manchester area, with 2,526 committed in November 2014 and 2,580 committed this October, a minor but noticeable increase in the number of crimes committed. And we can expect this rate to rise as time goes by. This is one of the most common reasons for a burglary being committed in high-density residential areas. Leaving valuables like smartphones, handbags, wallets and laptops near windows, even if they aren’t open, entices thieves. Don’t leave your valuables near your window and certainly don’t leave your windows open when you aren’t nearby. The darkness of night provides perfect cover for thieves, so installing an external lighting system is highly advisable. The areas to focus upon are the front and rear doors and the areas directly outside your windows. Thieves are less likely to target homes with brightly lit yards because it limits the areas in which they can hide. Hedges also provide excellent cover for thieves, so have your hedges trimmed back so that you can see over the top of them easily. You should also ensure plants and trees don’t obscure the view from your windows either. Everyone has lost a set of keys at some point in time, but it’s what you do after you’ve lost your keys that counts, since some burglaries are caused by people losing their keys, usually near their home or place of business. If you’ve lost your house keys or the keys to your workplace and you’re worried about someone finding them and breaking in, give your local Manchester locksmith a call and we’ll replace the locks for you. 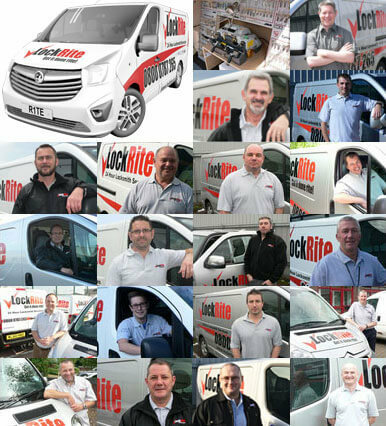 As all our locksmiths are local, they’ll be with you in 20 – 40 minutes, there are no call out fees, and we're on hand to help you 24 hours a day. This video, filmed by one of our locksmiths in Manchester shows how insecure your garage door locks can be! Our locksmith gains entry to the door in a matter of seconds without using any specialist tools or equipment. If you're in doubt about the security of your locks ask one of our locksmiths for advice. We can upgrade your locks and offer advice about additional security solutions for your doors.